Bring Your Own Cup Day – Live. Simple. Good. This weekend has been pretty low-key because we have a sick Jeffrey. 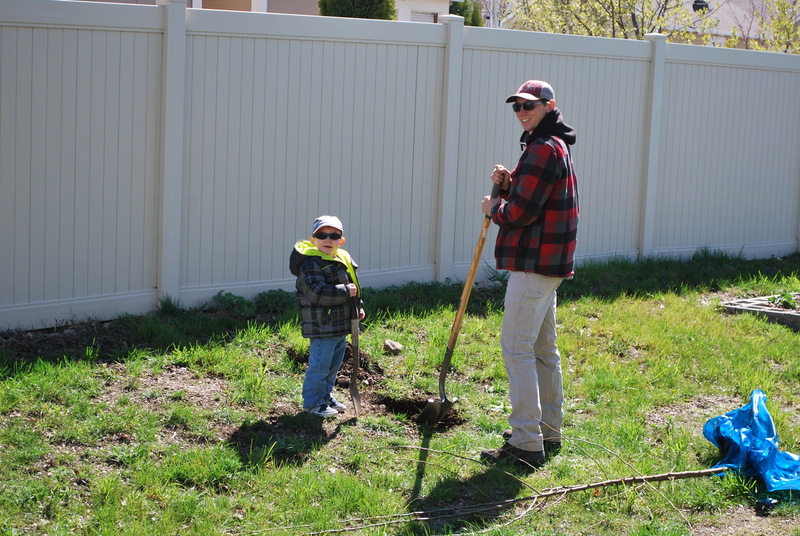 He was acting happy on Saturday morning and helped daddy plant some apple trees! One for him and one for Jack. 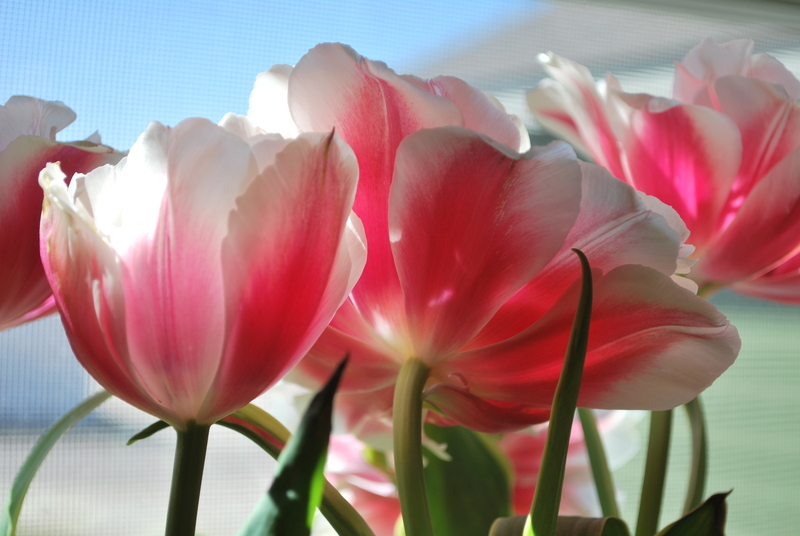 These tulips are mine to be planted – my mom gave them to me for Easter – and I cannot believe how beautiful they are! I’ve always thought tulips were pretty but I didn’t know they opened up like this – so lovely. I can’t wait to see them on display in the front of our home! 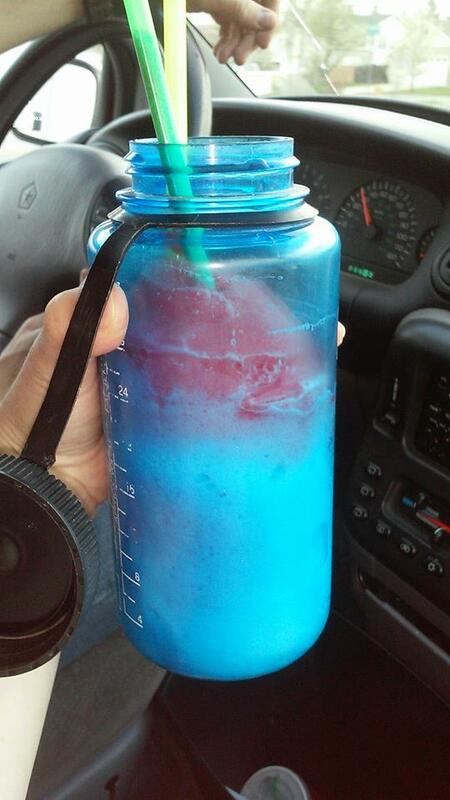 You could bring any container, up to 10″ in diameter, to fill with a Slurpee for $1.49. We learned quickly, as Caleb was in line with Jeffrey, that our little boy wasn’t over being sick… then the employee misunderstood and wouldn’t let them use their bathroom! Caleb had to abandon the drinks and run across the street to a different business so Jeff could go potty… lets just say he didn’t make it in time… poor kiddo! 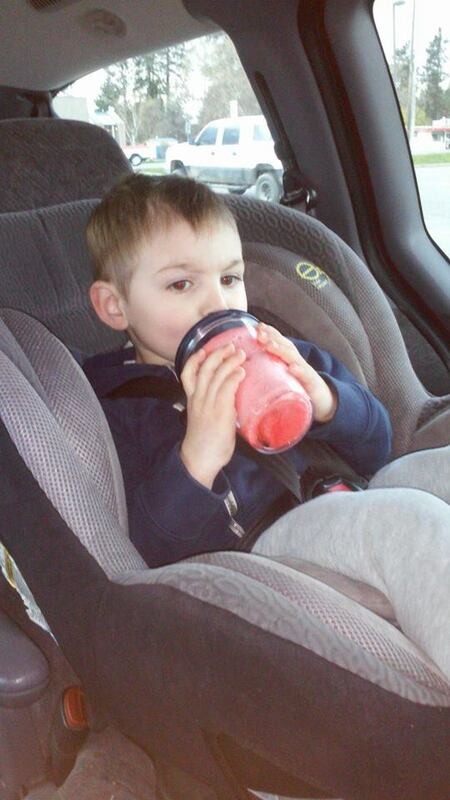 After all that Jeffrey got to enjoy a bit of his special Slurpee! And of course as we got ready for bed we listened to “Louie Louie” to celebrate International Louie Louie Day. Previous Article Happy National Sibling’s Day!